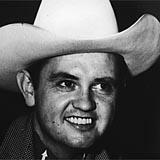 Merle Travis was virtually without peer as a guitarist and songwriter. A unique stylist, he was respected and prominent enough to have an instrumental style ("Travis picking") named after him, and only Chet Atkins even comes close to the influence that Travis had on the way the guitar is understood and played in country music. (Indeed, Atkins was initially signed to RCA to be that label's Merle Travis.) As a songwriter, he wasn't far behind, with originals such as "Sixteen Tons" crossing over as popular standards in the hands of other artists. He even played two different vital and indirect roles in the development of rock & roll, and was no slouch as a recording artist, with his own share of chart hits and novelty songs. Travis was one of those musical figures who was referred to constantly, either musically or literally, by dozens of major figures, but he was never able to ascend the charts himself again. Much of the problem lay in his personal life. Along with a reputation as one of country music's top axemen, Travis also became known as a wildman, especially when he drank. He was arrested more than once for public intoxication and drunk driving -- on his motorcycle -- and in 1956 there was a highly publicized report of police surrounding his home after he assaulted his wife. Then, during the early '60s, he was hospitalized briefly after being arrested while driving under the influence of narcotics. He managed to pull his professional life together in the mid-'60s to do one new folk-style album, Songs of the Coal Mines, which, like its predecessor Folk Songs of the Hills, failed to sell on its original release. His other albums -- mostly instrumental, such as Walkin' the Strings -- proved much more significant and influential at the time as standard acquisitions for aspiring guitarists. He still played occasionally and became something of a star on the college folk circuit, teaming with Atkins for the Grammy-winning Atkins-Travis Traveling Show in 1974. Travis finally seemed to settle down after he married his fourth wife, Dorothy -- the former wife of his longtime friend Hank Thompson -- and focused once again on music. He recorded tribute albums to the Georgia Wildcats and began working again with old associates like Grandpa Jones, and it looked like Travis was to enjoy a resurgence of musical and public acclaim. At age 65, however, he suffered a massive heart attack and died the following morning.